The destructive Carr Fire burning near Redding has claimed the lives of at least six people, including two firefighters. Two wildfires near the border of Mendocino and Lake counties flared up late Sunday, prompting new evacuation orders. The Steele Fire in Napa County is close to full containment but only after destroying eight homes and torching 135 acres. The Lake County Sheriff’s Office has issued a Mandatory Evacuation for the Kelseyville and Finley areas. The Mandatory Evacuation area is north of the Sonoma-Lake-Mendocino County Line, east of Highland Springs Road, south of Clear Lake, and west of Bottle Rock Road extending north to Clear Lake State Park including the communities of Kelseyville and Finley. The number of people ordered to flee from twin Northern California wildfires in Mendocino and Lake counties has swelled to 15,000, authorities said Monday as flames rolled toward several small towns in a rural area of lakes, forests and mountains. Elsewhere in the same region, firefighters were hopeful that the state's largest and deadliest blaze of the year was slowing down after days of explosive growth. A fire official said Monday the Carr Fire is now the ninth most destructive in the state's history. State fire spokesman Scott McLean said the blaze rampaging in the area of Redding has destroyed 818 homes and 311 outbuildings. Another 165 homes have been damaged by the fire, which also killed two firefighters and four civilians. More than 27,000 people remain evacuated because of the blaze, which has burned for more than a week. However, another 10,000 were allowed to return home Monday as fire crews managed to reinforce some containment lines. The huge blaze is now 23 percent surrounded. The twin fires in Mendocino and Lake counties flared up late Sunday, forcing the new evacuations from the 4,700-resident town of Lakeport and other communities near Clear Lake, about 120 miles (195 kilometers) north of San Francisco. 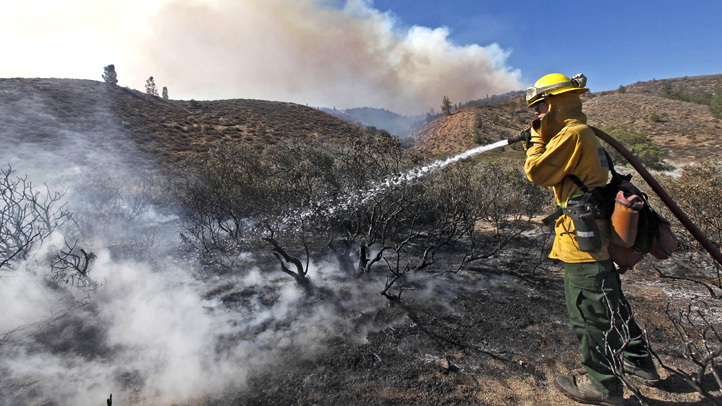 The blazes — the River Fire and Ranch Fire — have destroyed six homes and threaten 10,000 others. So far, the flames have blackened 87 square miles, with minimal containment. At midday Monday, Lake County Sheriff's Lt. Corey Paulich put the number of people under evacuation orders at 14,000, up from a previous estimate of 10,000. Another 1,000 people have been displaced in neighboring Mendocino County. To the north, near Redding, California, where the unpredictable Carr Fire killed six people, a man whose wife and two great-grandchildren were among the dead said he did not receive any warning to evacuate. The fatalities also included two firefighters. Authorities were also investigating at least 18 missing persons reports, though many of them may simply be people who have not checked in with friends or family, police said. The Carr Fire that threatened Redding — a city of about 92,000 people — was ignited by a vehicle a week ago about 10 miles (16 kilometers) west of the city. On Thursday, it swept through the historic Gold Rush town of Shasta and nearby Keswick, fueled by gusty winds and dry vegetation. It then jumped the Sacramento River and took out subdivisions on the western edge of Redding. Some of the 38,000 people forced to evacuate said they were frustrated because they didn't know whether their homes were still standing. Some evacuated neighborhoods were reopened Monday but many remained closed as firefighters mopped up. West in Napa County, the Steele Fire near Lake Berryessa is 75 percent contained as of Monday morning, according to Cal Fire. The blaze has burned 135 acres and wiped out eight homes. 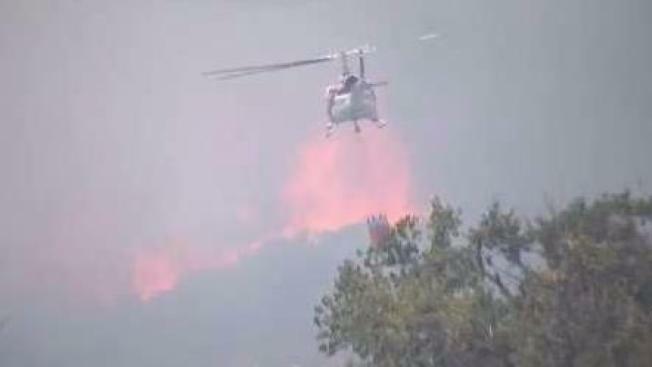 The Cranston Fire continues to burn in the San Jacinto Mountains east of Los Angeles near Palm Springs, but officials lifted evacuation orders for several communities after reporting significant progress by firefighters.